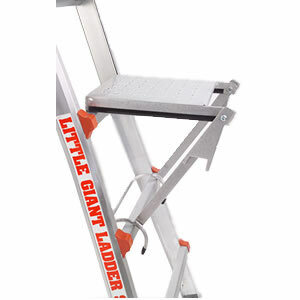 Perfect for standing on or holding paint or tools, the moveable Work Platform fits easily on any rung and supports up to 300 pounds safely*. It’s unique design allows it to tuck away when not needed yet easily move into place when needed. *When used according to all operating and safety instructions.